Andy Spence admitted his frustration Everton Ladies could not convert a vibrant attacking performance into a victory after the Blue Girls let a two-goal lead slip in their 3-3 draw with Brighton & Hove Albion. In a pulsating clash at Southport FC’s Merseyrail Community Stadium, the Toffees came back from a goal down to lead 3-1 with a just a quarter of an hour to go, with Inessa Kaagman, Gabby George and Chloe Kelly getting on the scoresheet. The Seagulls rallied, however, and a quickfire double from forward Ellie Brazil saw them escape with a point. Spence took great encouragement from the quality of the Blue Girls’ football but insists his side must show more maturity when they get into winning positions. “To be 3-1 up and to draw the game is really disappointing,” said Spence. “I thought we did well in spells. “We started the game poorly but came back into it by playing some really good football and scoring some good goals. “We were then the creators of our own downfall, giving away silly and naive free-kicks that led to their goals. “Some of the play was really positive during the game. We had control and managed to take our chances. “This team can be so good if we stick to what we know what works for us and eradicate some of the naivety we showed when in a commanding position." Brighton got off to a flier in Southport, with Danielle Buet’s fierce strike from 20 yards out putting them ahead with just three minutes on the clock. The Toffees regained composure, though, and on 27 minutes, they had an equaliser. Simone Magill teed up Kaagman who fired into the bottom corner to pull Everton level. And just before the break, Spence's side were in front – George’s bullet header making it 2-1. The Blue Girls continued to press in the second half and doubled their lead with 20 minutes left on the clock. Kaagman was provider this time - her cross-field pass found substitute Kelly in the box, who finished with aplomb to put Everton in command. The away side were to find a second wind, however, and after a free-kick delivery from England international Buet, Brazil got on the end on Aimee Whelan’s flick-on to make it 3-2. And two minutes later, the away side were level. Buet again swung in a centre which Brazil nodded home from close range. 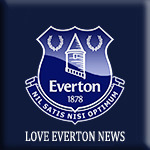 While Toffees boss Spence lamented the loss of two points, he revealed his confidence his team are on the right track. “The standard in training has been brilliant,” he added. “The team are starting to understand their roles and its coming together nicely. We just need the results now." Next up for the Blue Girls is a clash with West Ham United Women at Southport on October 28.